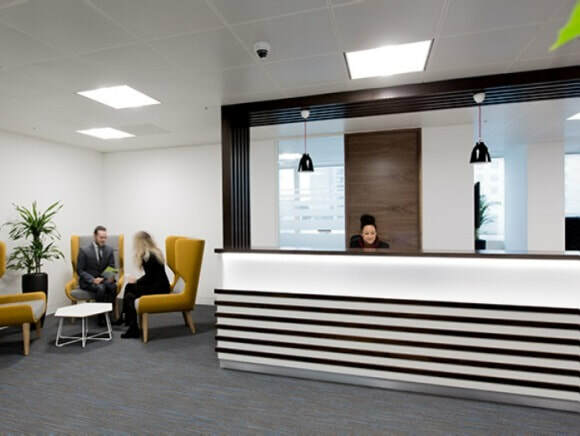 Marsh Wall offices to rent in the Docklands, London are within a recently refurbished development that offers a wide range of suites that are ready to occupy. The modern building has a large reception on the ground floor as well as a manned main desk in the Business Centre. Local amenities are good with Canary Wharf shopping centre close by that offers a blend of restaurants, cafes, and stores. With a broad range of facilities onsite, these serviced offices are completely furnished with access to telephone systems and internet. Hiring for boardrooms is available at the location and there are a choice of meeting room sizes to choose from depending on what is required. Features within the office space include mail handling, secretarial assistance, and showering facilities. Suites are independently air-conditioned and there is also a car park on the grounds of the property.